October 24, 2018 – DJI, the world’s leader in civilian drones and aerial imaging technology, is improving its geofencing technology to refine the airspace limitations for drone flights near airports, in order to provide smarter protection for airplanes in critical areas. The updated Geospatial Environment Online (GEO) Version 2.0 will be phased in starting next month, when the revised zones will take effect for airspace around airports in the United States. Upgrades in other regions will follow in due course. More information about GEO is available at https://www.dji.com/flysafe. DJI's new geofencing also incorporates the principles of Section 384 of the recently-enacted U.S. Federal Aviation Administration (FAA) Reauthorization Act designating the final approach corridor to active runways at major airports to be "runway exclusion zones" for unauthorized drones. DJI customers should update their DJI GO 4 flight control app and aircraft firmware to ensure these improvements are implemented. Using these aviation parameters, DJI has aligned its geofencing safety feature to broader understandings of airspace and airport risk. 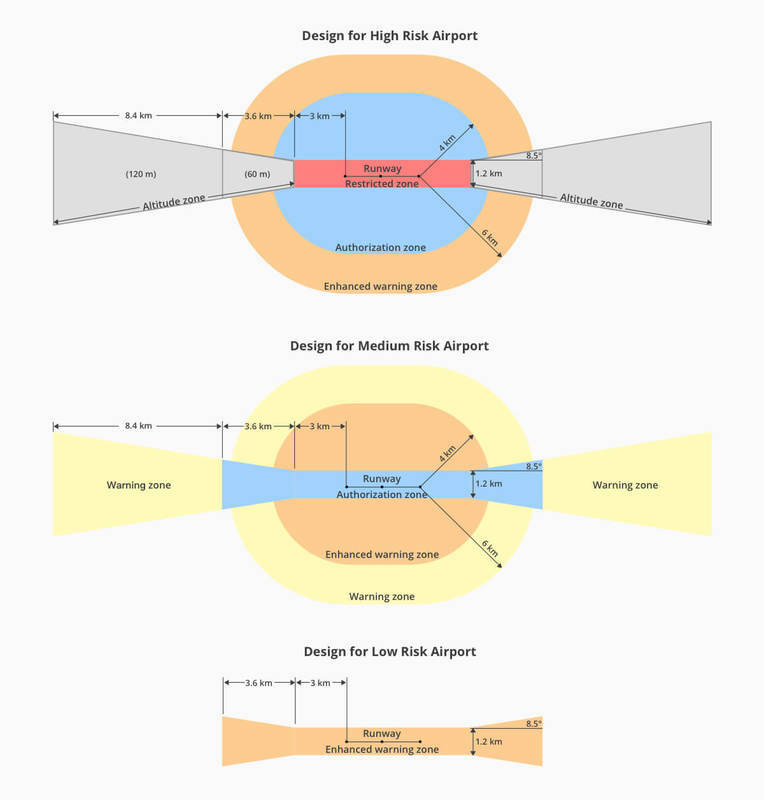 This chart demonstrates how GEO 2.0 applies those detailed, risk-based airspace boundaries to the airspace around airports that can be considered to involve relative high, medium, and low risk.